Nom nom nom. Nom. Nom. If the Creme Eggs are appearing, it means that Easter can't be more than, say, three months away, tops. Actually, I checked, and Easter is on April 8 this year. So once again I miss having my birthday on Easter Sunday by thismuch. The formula for determining when the holiday falls each year is ridiculously complex; if you ask me, Pope Ben Affleck Benedict could simplify the whole thing by just making it fall on the Sunday closest to my birthday every year, which would at least give me a predictable shot at having the Feast of the Glory of the Risen Lord be the same date as my birthday once in a while. 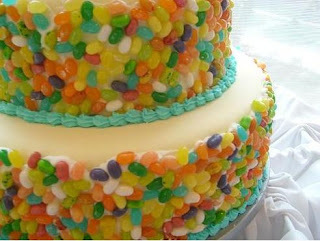 Because I really, really want a cake made out of jelly beans. 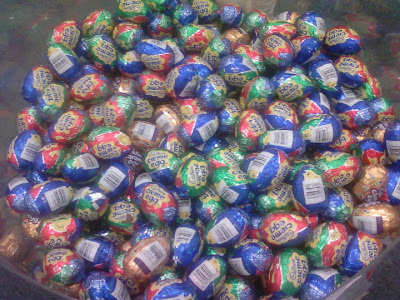 ﻿ The point is, the Cadbury Creme Eggs have sprouted at my local drugstore like the tender daffodils that bloom in Spring, only tastier and filled with yolk-colored goo. And if Easter is coming up, that means Lent is about to begin. Well, on February 22, anyway. That gives me more than a month to consume obscene quantities of Creme Egg goodness before I give up eating chocolate. And since my birthday is literally the day after Easter this time around, I can go to the store on my birthday and buy extra-delicious heavily discounted candy. Everything tastes better when it's 50% off. Except sauerkraut, which tastes best when there is 100% less of it. ﻿ Mmmm...Cadbury Creme Eggs. You know what would be good, too? Snickers Peanut Butter Ovoid. Someone needs to work on that. Just don't bring it out during Lent when I can't eat it. I'll throw jelly beans at you. Jelly beans aren't made of chocolate, right? Just checking. My Easter Candy of choice is the Russell Stover Maple Creme egg - and here's what is sick. 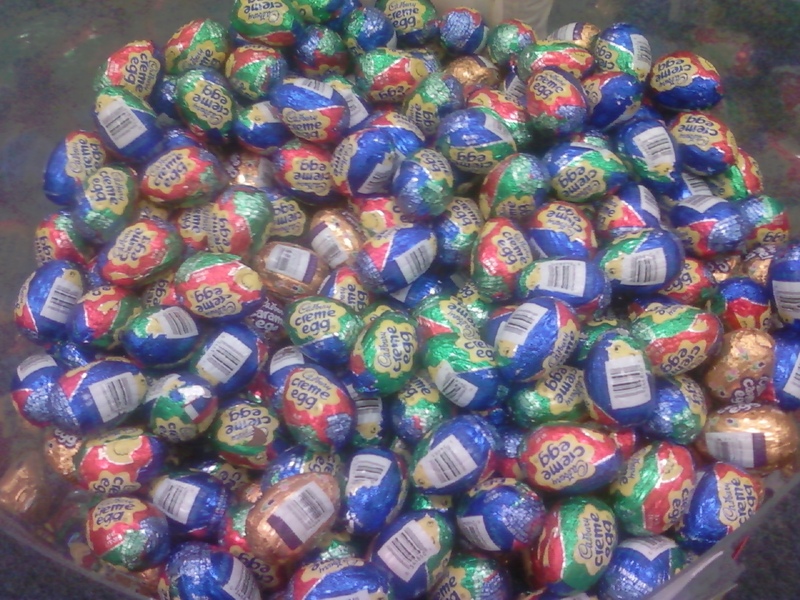 I saw the Cadbury Eggs at my parents' Kroger on CHRISTMAS EVE. 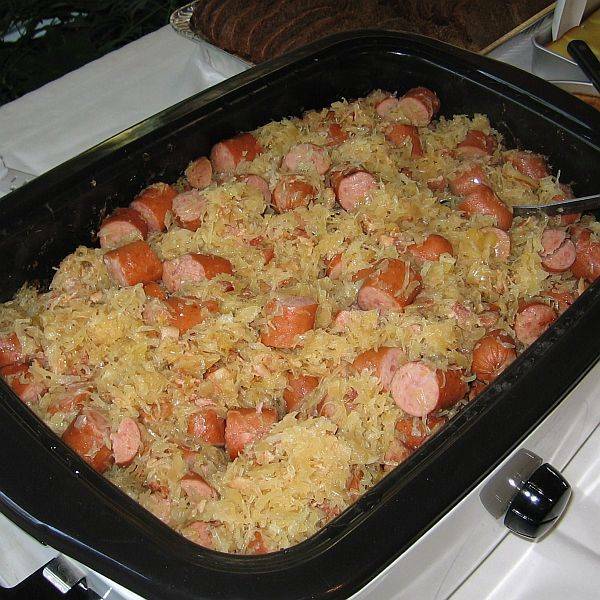 Also, I now really want kielbasa and kraut for dinner. Or red cabbage. I'm flexible.